The First Degree Pacific Challenge is a step up from the Newport. in fact, it shares the majority of its parts and frame with the Newport. So what's different apart from the color? 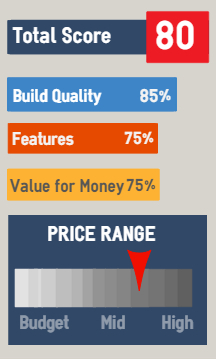 Well not a great deal as far as we can tell. Both are excellent rowing machines for the price tag - if you like water/ fluid rowers. For many, the assembly of a rowing machine can be a real trial, but the Pacific is very easy to put together as most of the parts are pre-assembled and little construction is needed. So let's get onto the all-important rowing position. The high sitting position gives it the feel of the sort of machine you'll sit on in a gym - it also makes it easier to get on and off. The adjustable foot rests are well-placed and the straps are thick enough to secure even the biggest feet without them slipping during a workout. The seat is the same (we believe) as First Degree's commercial models and should be comfortable for all but the largest butts! However, if you train hard enough this would not be a problem for long :0) We've heard a few comments from male users saying they found the contours a little restricting in the err... male area, but for most this doesn't appear to be an issue. Apparently, this can be resolved with a thin layer of foam placed over the seat. 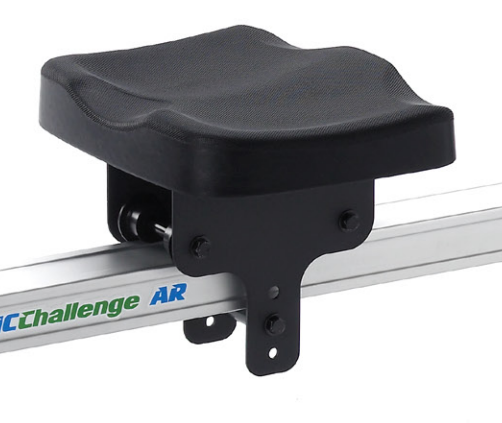 The rollers and bearings are well-designed and deliver a smooth and quiet action up and down the beam. Ee love what First Degree have done for fluid rowers. The triple bladed 'impeller' (it's not a propeller!) and the dual tanks deliver a great rowing action with no dead spots - it catches instantly and feels like the real thing. Many water rowers rely on the 'natural' resistance of water, that is, the faster you row, the greater the resistance, which is the same as rowing on water. However, an indoor rowing machine (ergo) is not about rowing on water - it's about getting a low-impact, vigorous cardiovascular workout in your home. 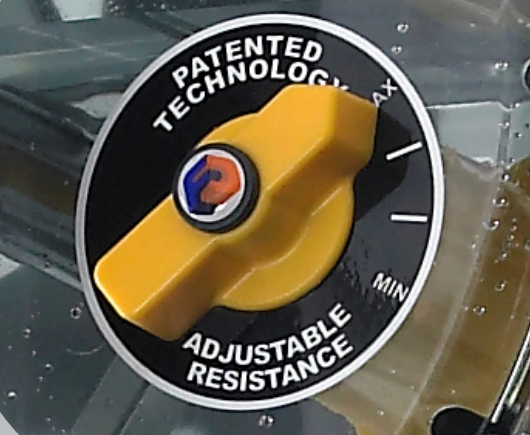 So the feature of being able to select the resistance level is useful. But, as yet, this can only be done manually with this sort of rower, whereas a magnetic machine can alter the level automatically as part of a pre-set program. The performance monitor is the same as the Newport (you can read the full description here), but briefly, it displays just about everything you need to know about your workout. There is also a USB port to connect up to your PC to download data so you can keep a track on your performance over time. But note, there are no fancy pre-set programs that will take you through a variation of workouts. The monitor has a built-in heart receiver to display your pulse rate, but does not come with a strap. If you love gadgets and hi-tech computers on your home fitness equipment, the Pacific is probably not for you. You'll need to be looking at magnetic rowers and the like (see our recommendations below). But if you love simple beauty and function, the sleek lines and feel of this rower could seal the deal. The Pacific has a great feel and action that will get you fit - and all at a very reasonable price. 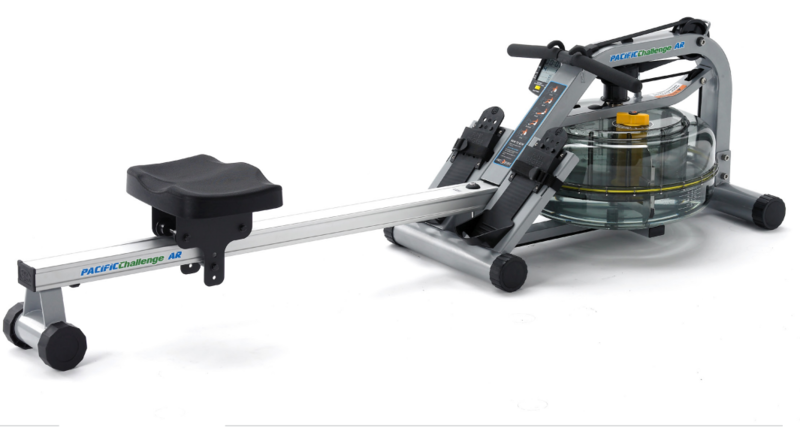 Also note - this is a compact rower, so if you're over 6' 2", you may wish to look at other machines as this could restrict your rowing technique and limited the benefit - click here for details of the longer beamed machines. If you want pre-set and heart rate programs, you'll need to look models such as LifeCore's R100 (around $300 more), or for less the Bladez Cascade or Velocity CHR are worth a look. 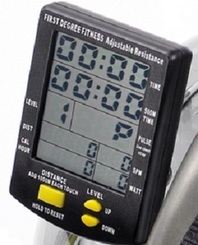 Other water/ fluid rowers in this price range include ProRowers RX-750. For a few dollars less, check out the Concept2 Model D - it's not been a best seller for over a decade for nothing!